The security of our courts and the transportation and temporary accommodation of individuals in custody is given to the Court Security Branch. The Court Document Unit liaises with the Crown Attorney, Court Administrator, Provincial Prosecutors, Probation Office and Victim/Witness Services, as well as other police and civilian agencies, with a view to ensuring that police charges are properly prepared and processed through the courts. The Unit prepares criminal and Provincial Offence Act Informations, obtains and serves copies of documents to prove charges and notifies and cancels witnesses as required. Additionally, the Unit ensures that Crown instructions for private complaints are prepared and they process warrants for failure to appear in court. The Court Security Branch is responsible for the security of the judiciary and all persons taking part in or attending court proceedings at both the John Sopinka and the Unified Family Courthouses. During the hours when the courts are operating, the special constables are accountable for ensuring the safety of all courthouse staff, prisoners and stakeholders. Combined, the courthouses cover approximately 450,000 square feet. 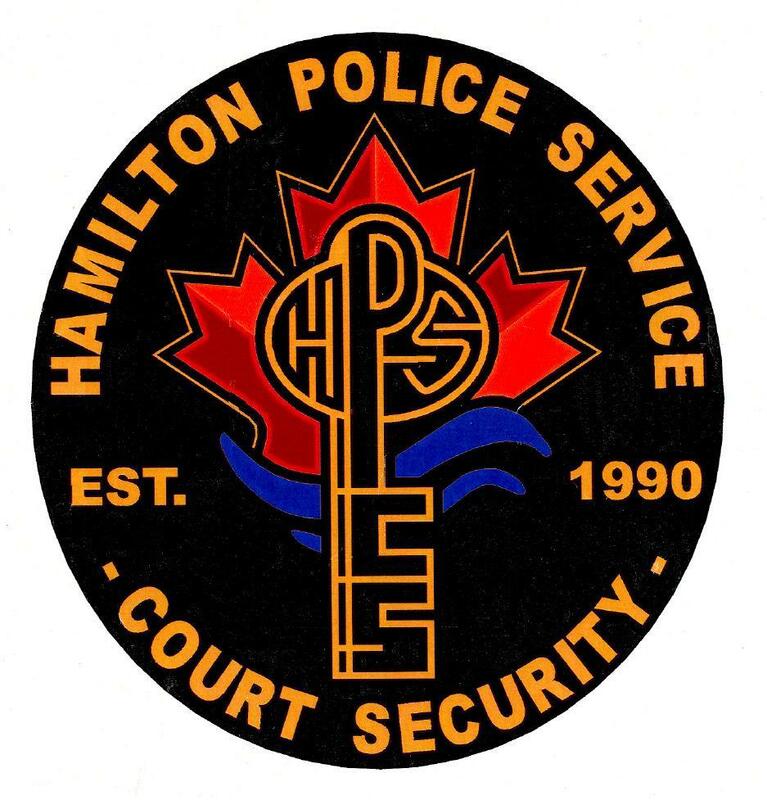 Special constables are civilian members who perform various, important duties within the Hamilton Police Service. Designated by the province of Ontario – Ministry of Community Safety and Correctional Services, special constables are appointed for a 5 year term and are considered “peace officers.” A special constable would only be considered a peace officer while acting within the scope of powers granted by his/her appointment. A combined complement of full and part-time special constables are assigned to the Court Security Branch and are responsible for the professional care, safe handling and transportation of offenders to and from the courthouse and those people ordered into custody. On average per year, approximately 12,500 prisoners pass through the capable hands of the special constables. In addition to prisoner handling, designated special constables are responsible for obtaining fingerprints and when authorized, collect samples of D.N.A. from offenders. In addition to their daily work, the special constables can regularly be found proudly representing the Hamilton Police Service in the community volunteering their own time by participating in local events and fundraisers.